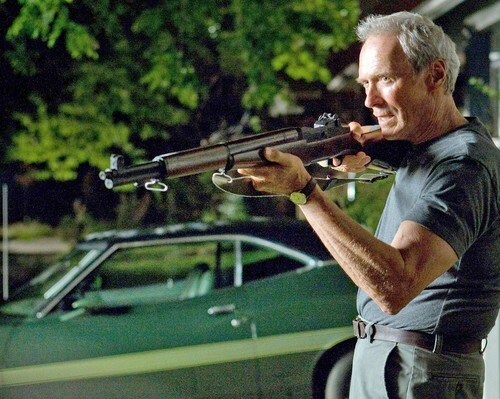 Amentior: Clint Eastwood Tops Obama For "Coolest Man in America"
Clint Eastwood Tops Obama For "Coolest Man in America"
(MSN)- Esquire magazine surveyed both 20-year-old and 50-year-old men, asking them: Whom do you consider the coolest man in America? Both groups found Clint Eastwood to be the coolest American man, with the entertainer getting 26 percent of the twenty-something vote and 55 percent of the 50-year-olds votes. Coming in second in the cool-guy poll was President Barack Obama, while actor George Clooney settled in at third place. ‘Twilight’ star Robert Pattinson got the lowest score, chosen only by 3 percent of the 20-year-olds and a mere 1 percent of the 50-year-olds. When asked, “Who is the best role model for young men in America today?”, 41 percent of 20-year-old men said Obama and 32 percent of 50-year-olds agreed. Clooney got 13 percent of the votes for both age groups, and NFL quarterback Tom Brady got 10 percent of the votes from the 20-year-olds. And don't mess with his coffee.